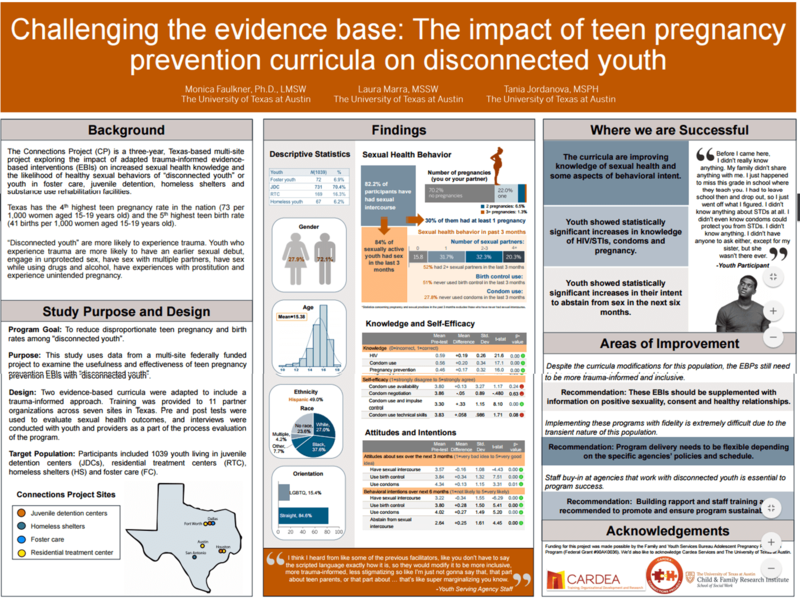 A summary brief of findings from a special collection of "grey" literature on the subject of Disconnected Youth. 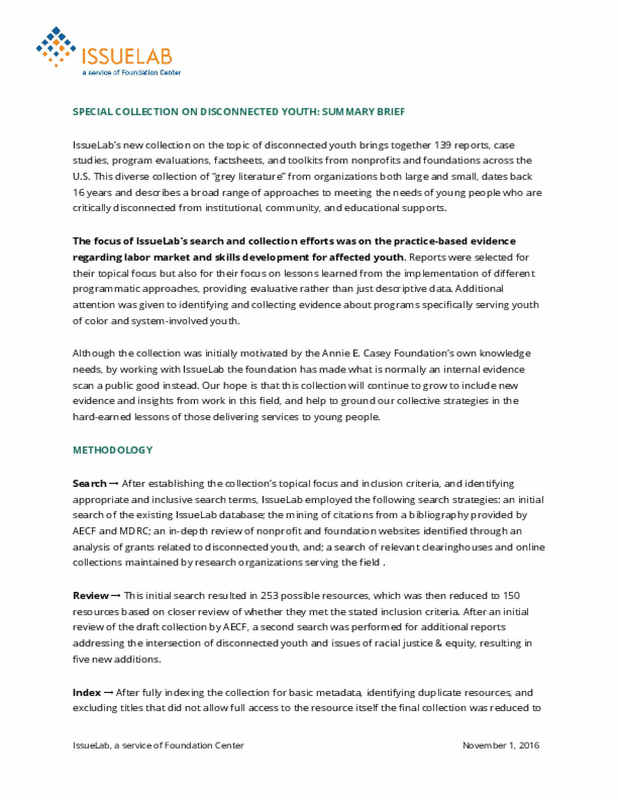 The brief lays out the methodology for the collection effort as well as top level findings related to thematic categories covered by the existing evidence base. 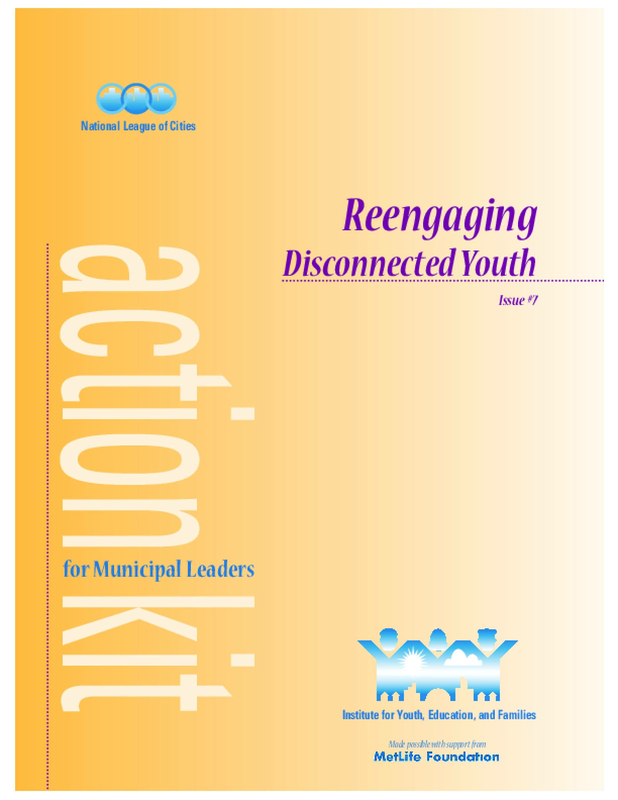 This action kit highlights steps city officials can take to help young people who are not connected to school, work, or caring adults. 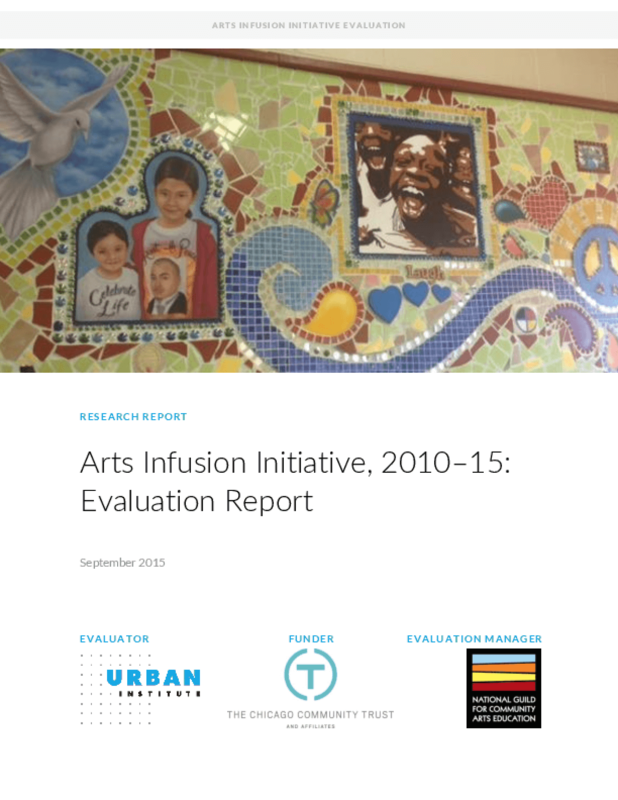 The kit recommends steps that cities can take to promote educational achievement, develop stronger workforce connections, support youth in transition from the foster care and juvenile reentrys, and build a citywide system of support. 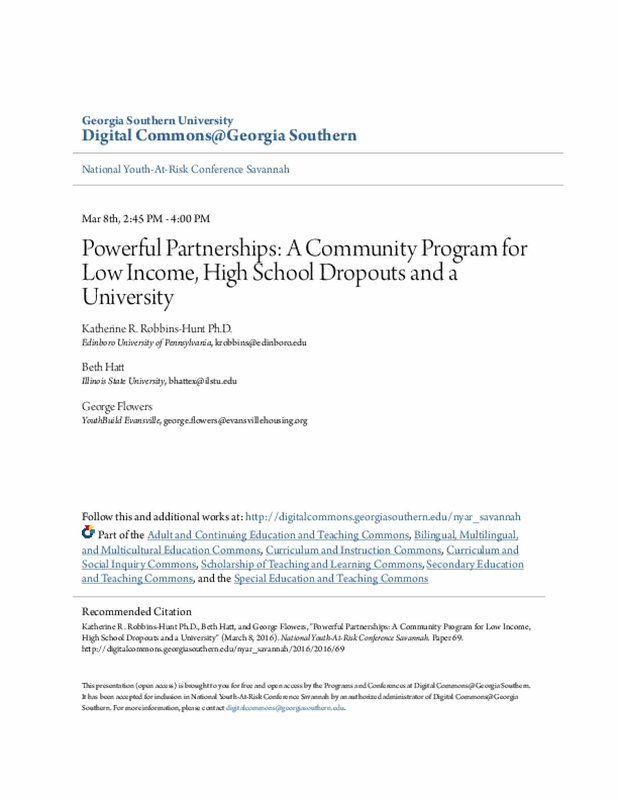 The proposed presentation describes the outcomes of a partnership between a youth and community development program and a teacher education program at a regional university in the Midwest. Once a federally funded program for low-income, youth ages 16-24, this agency provides General Equivalency Diploma (GED) preparation, job skills training, and community service opportunities for high school dropouts (Cohen & Piquero, 2008; Kapp, 2009), and faculty and pre-service teachers from a university supported the GED preparation and transition components of the program. Therefore, the proposal for this session most closely aligns with the "HEAD": Academic Achievement & Leadership strand of the conference, as results of the partnership indicate improved academic outcomes for program participants (increases in scores on standardized tests, GED pass rates, community colleges and technical institute enrollment, and full-time employment). In addition, the partnership simultaneously provided pre-service teachers a chance to apply teaching strategies in authentic and diverse learning environments that improved both teaching strategies and cultural responsiveness. This document represents the Strategic Plan for the TAY Authority, covering the period 2010-2015. The TAY Authority serves transition age youth (ages 16-24) in Los Angeles County. 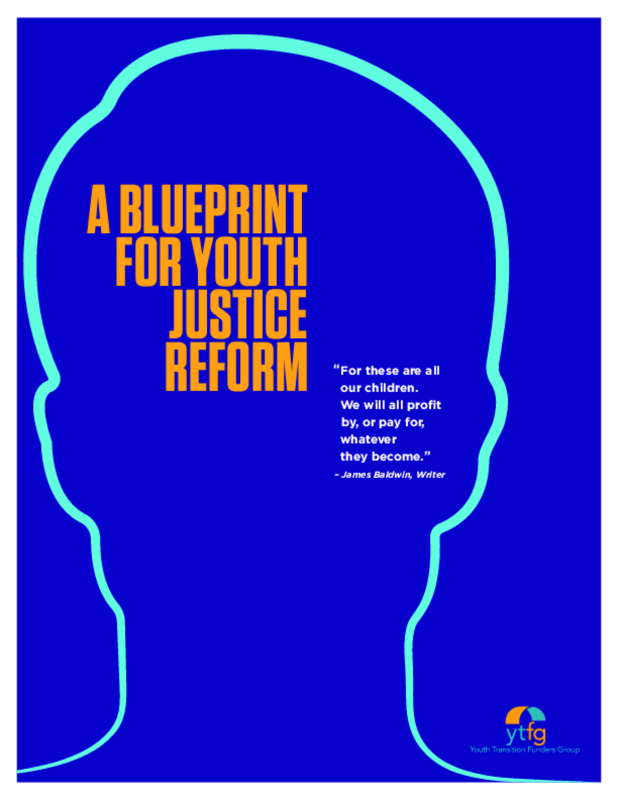 Many of the youth we serve are aging out of the foster care system, some have been involved with the juvenile justice system, and all will have faced some sort of challenge in moving toward a productive adulthood. All youth we serve are low or very low- income. 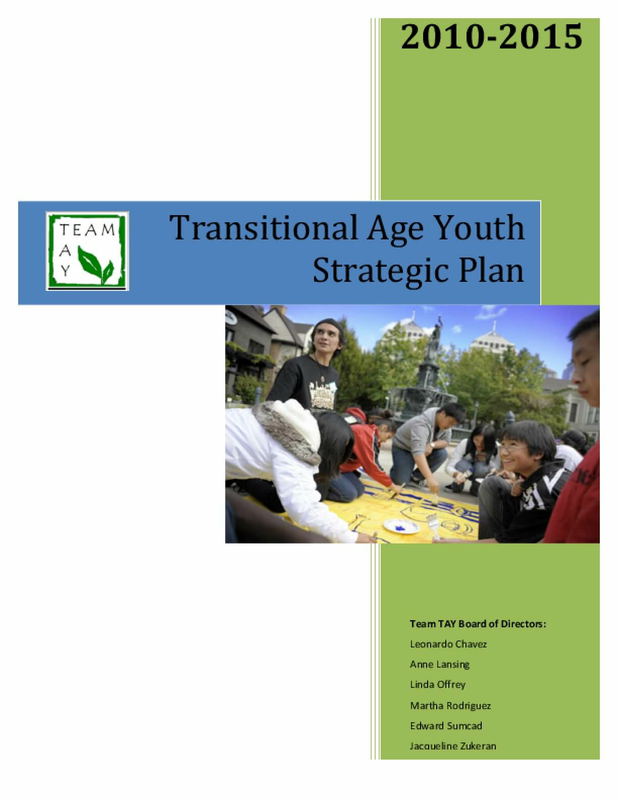 The purpose of the TAY authority is to assist youth to transition to adulthood successfully. There are over 1.5 million transition age youth in Los Angeles County. Of these, 11,000 16-22 year olds have active Department of Children & Family Services cases, 5000 are homeless, and over 10,000 of the minors have active probation cases (LA County, 2010). Team TAY believes that providing youth with the tools they need to integrate themselves into society will help them to lead successful and healthy adult lives. By encouraging them to envision a promising future and equipping them with practical life training and support, we will help them to tap their unlimited potential. In order to meet this goal, it is important for us as an organization to strive to better accomplish our mission through managing strategically and in a fair, accessible, transparent manner. So, with the help of our Strategic Management team, we present to you our Strategic Plan for Fiscal Years 2010 to 2015. The purpose of this paper is to communicate Team TAY's Strategic Plan, which includes a re-clarification of our stakeholders, vision, mission, and values; assessing TAY's internal and external environments; identifying the strategic issues we are facing; formulating and adopting goals to manage these issues; and developing an implementation plan and evaluation process. The new report from JobsFirstNYC and the Aspen Institute Economic Opportunities Program, highlights national examples of effective sectoral employment programs for youth. 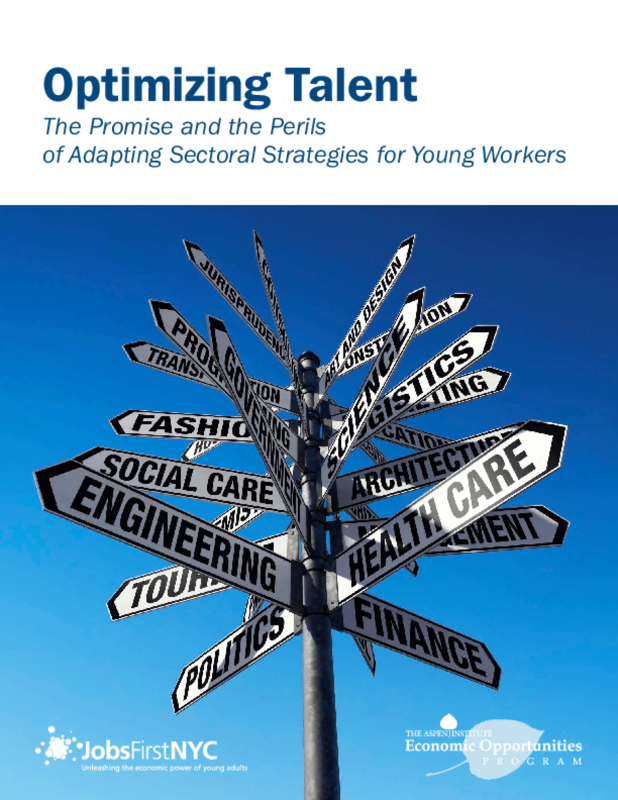 It lays out strategies for developing and maintaining strong partnerships among industry experts and youth development practitioners, to boost employment rates among young adults and improve business outcomes. 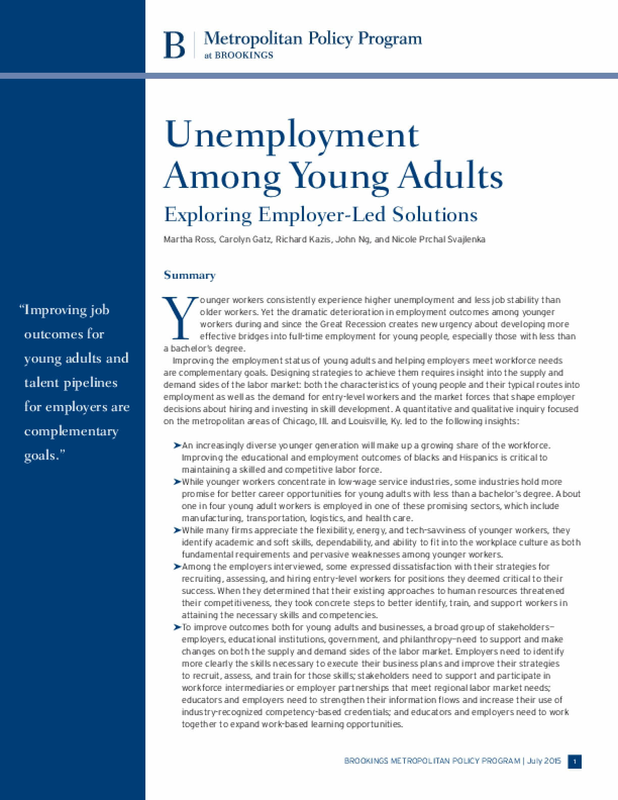 Finally, it details lessons learned from JobsFirstNYC's Young Adult Sectoral Employment Project (YASEP), a successful, first-of-its-kind pilot to test whether sector strategies could be specifically effective for young adults who are out of school and unemployed. Drawing on the promising results of several sector-based employment programs for young people throughout the nation, this report explores how: By expanding and deepening access for young people to sectoral employment initiatives, policymakers and funders can help young people find alternative pathways to jobs, job stability, and advancement;Community-based and young-adult-serving organizations can play a critical role in connecting young people to employment;Collaboration across organizations is essential, and financial incentives to support partnerships must be built into future efforts; andSectoral strategies can yield even greater gains when they go beyond strategies focused on job placement to partnering with employers to identify ways to improve workers' conditions while also supporting business success. 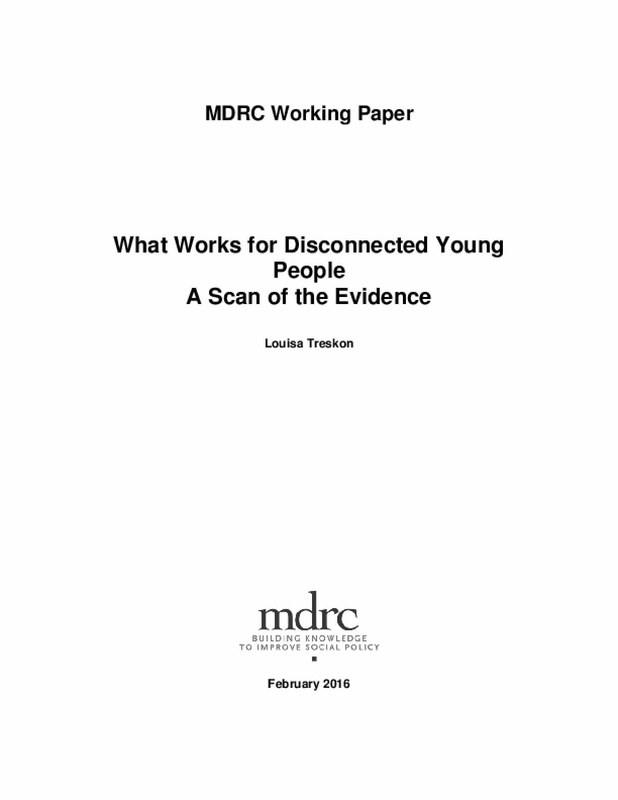 The purpose was to conduct a scan of the current state of the evidence regarding what works in helping disconnected young people, defined as the population of young people ages 16 to 24 who are not connected to work or school. To prepare the paper, MDRC conducted a literature review of relevant policies and programs. The literature reviewed included writing on impact, quasiexperimental, and implementation studies. MDRC also conducted reviews of numerous websites to learn about current policy trends and evaluations in process. To supplement what was learned from written materials, MDRC interviewed a number of practitioners in the field, including representatives from foundations, coalitions, and research organizations. 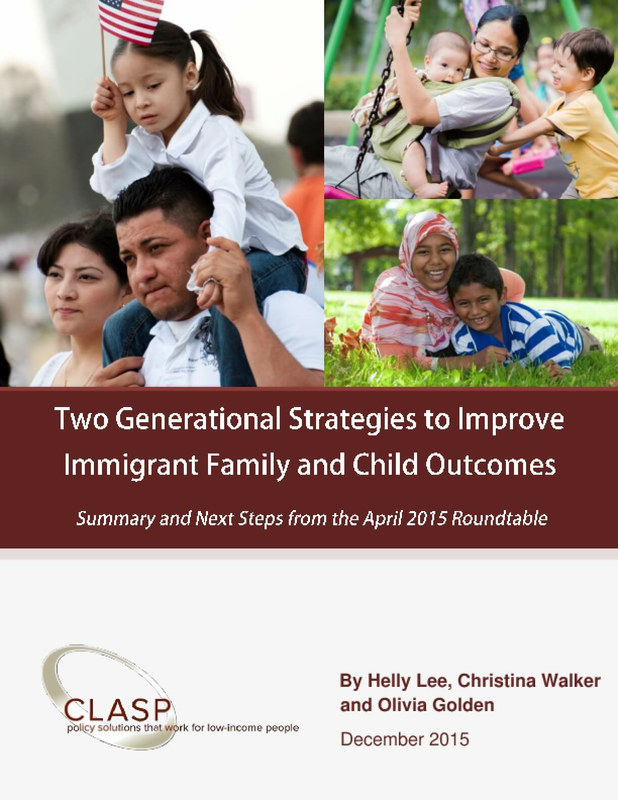 Both the Two-Generational Strategies to Improve Immigrant Family and Child Outcomes roundtable and this brief explore policy and practice reforms that can improve opportunities for parents and children in immigrant families. To generate rich thinking about the possibilities, the roundtable brought together experts in the fields of early childhood education, workforce, two-generational policies, and immigrant rights. Participants included federal and state policymakers, community-based practitioners, researchers, advocates, and foundation leaders from all of these fields and from 10 states who came together for two days of discussion about opportunities, challenges, and action steps to better serve immigrant families. Several participants highlighted the extraordinary nature of this opportunity to connect across the different worlds, given how few opportunities they typically have to collaborate and be more intentional in meeting the needs of both parents and children in immigrant families. The goal of the discussion was to share information and perspectives from different areas of expertise across policy and practice and to generate a rich and practical set of action ideas, not necessarily to create consensus among participants. 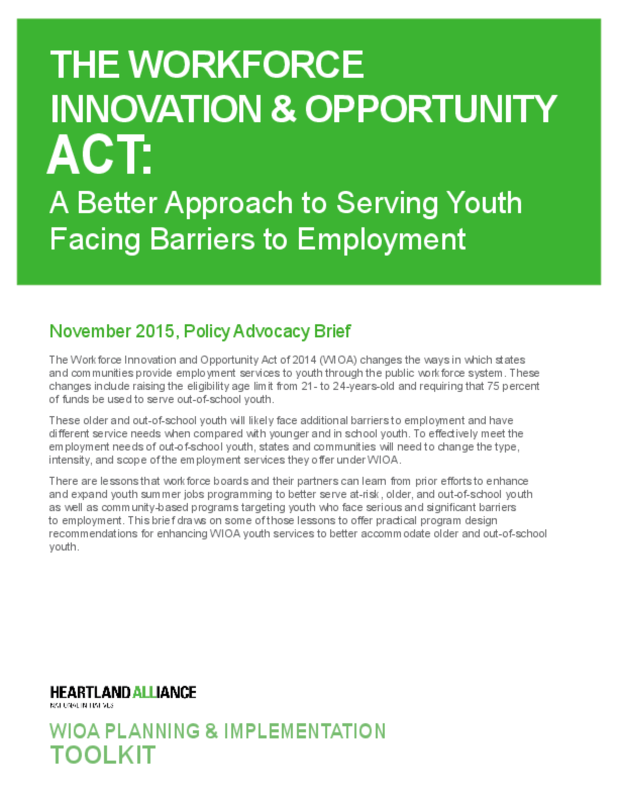 The Workforce Innovation and Opportunity Act (WIOA) changes the ways in which states and communities provide employment services to youth through the public workforce system. These older and out-of-school youth will likely face additional barriers to employment and have different service needs when compared with younger and in school youth. To effectively meet the employment needs of out-of-school youth, states and communities will need to change the type, intensity, and scope of the employment services they offer under WIOA. 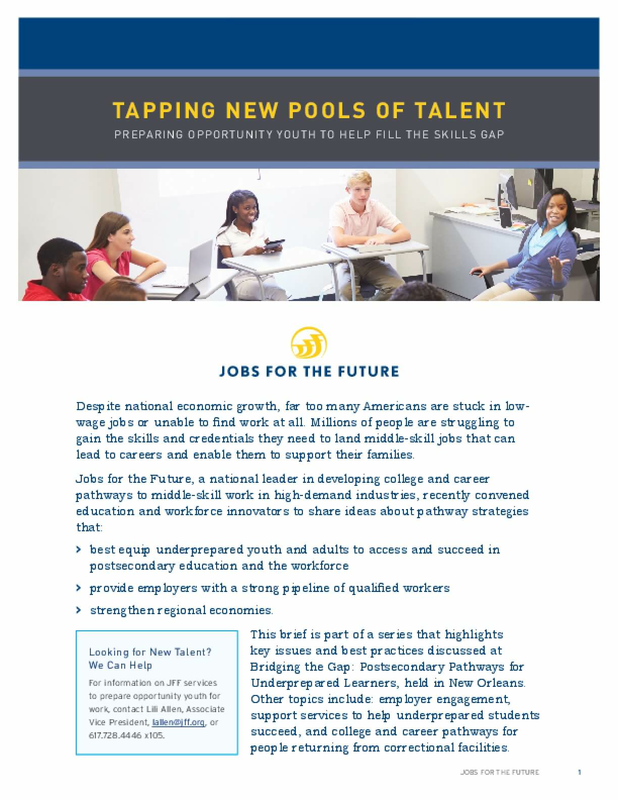 There are lessons that workforce boards and their partners can learn from prior efforts to enhance and expand youth summer jobs programming to better serve at-risk, older, and out-of-school youth as well as community-based programs targeting youth who face serious and significant barriers to employment. 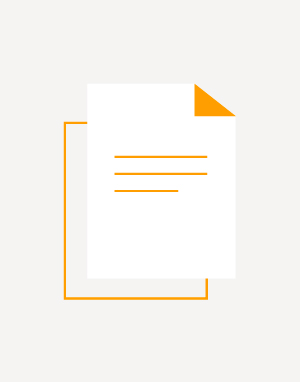 This brief draws on some of those lessons to offer practical program design recommendations for enhancing WIOA youth services to better accommodate older and out-of-school youth. The Palmview Male Cooperative (PMC) is an out-of-school-time program that involves students of color from varied achievement levels in a 'brotherhood' focused on personal excellence, group accountability, and mutual support. This case study shows how participating in this organization impacts Black and Latina/o student engagement. Overall, the authors argue that framing this organization as a Black and Latina/o 'brotherhood' effectively promotes peer bonding, which builds attachment to the larger school community. 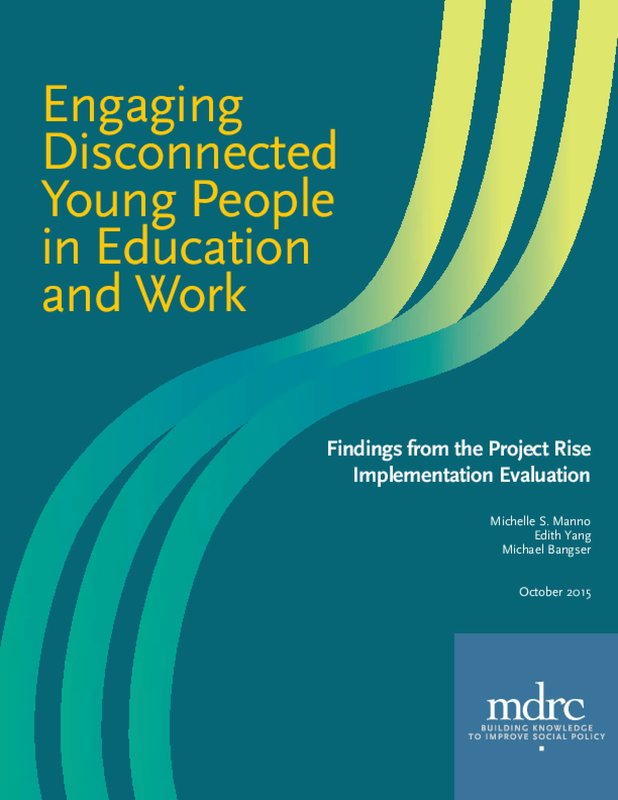 Young People Disengaged from School and Work in South King County. This report examines the characteristics and experiences of "Opportunity Youth," defined as young people ages 16-24 who are not engaged in work or school. 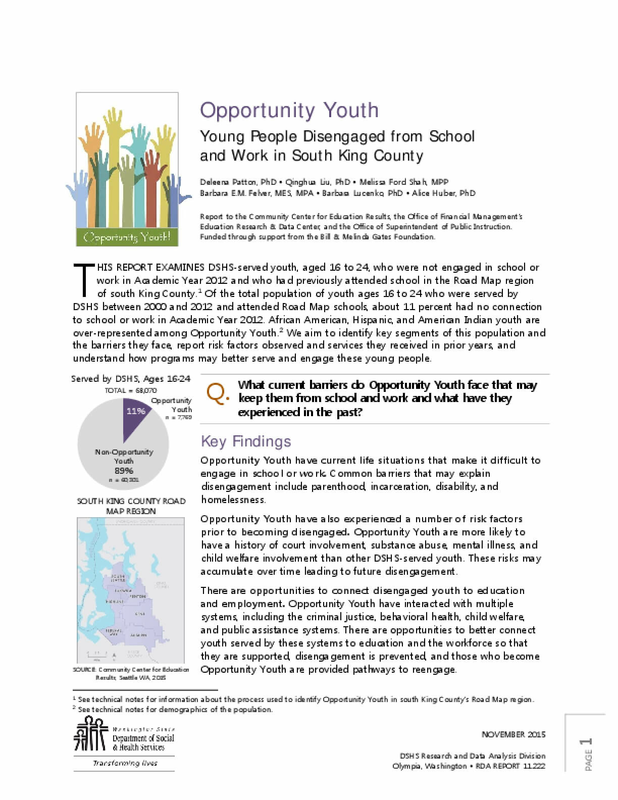 We summarize the experiences of Opportunity Youth with DSHS service histories who attended school in the Road Map region of south King County. We find that many face immediate barriers that may prevent them from engaging in work or school, including parenting responsibilities, incarceration, disabilities, and homelessness. Opportunity Youth have interacted with multiple systems, including criminal justice, behavioral health, child welfare, and public assistance. 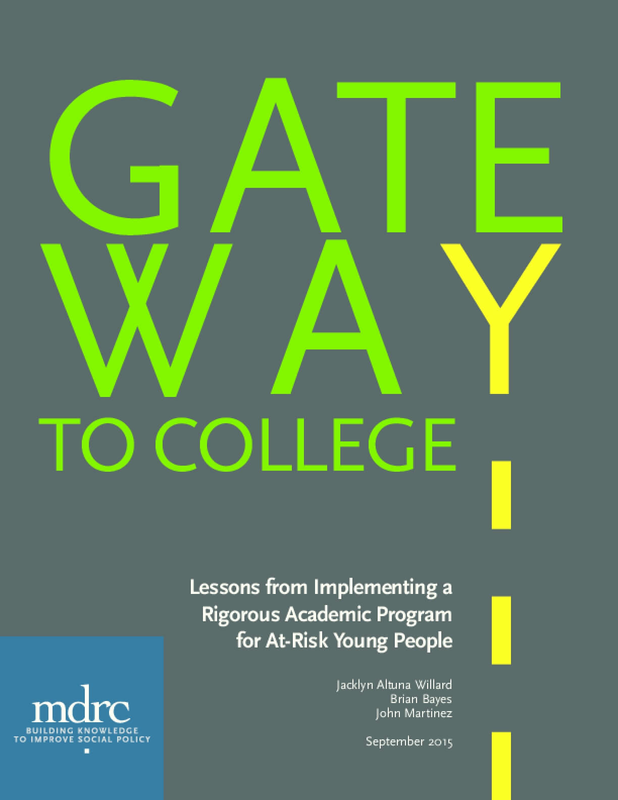 There are opportunities to better connect these systems to education and the workforce so that at-risk students are supported and those who do become Opportunity Youth are provided pathways to reengagement. The passage and implementation of the Workforce Innovation and Opportunity Act (WIOA) has the potential to catalyze efforts in local communities and states to address the employment needs and interests of a greater share of adults and youth facing barriers to employment and to develop a more comprehensive and aligned public workforce system to meet these jobseekers' needs. Realizing these goals, however, will require concerted and deliberate efforts by local communities and states acting in partnership with a number of stakeholders and public systems. 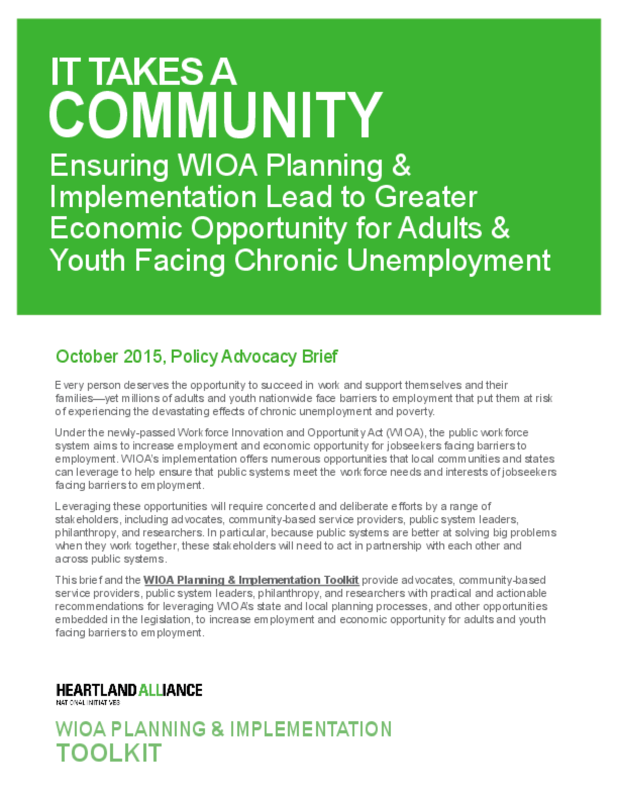 Leveraging the local and state planning processes and other opportunities embedded in WIOA, this brief aims to provide stakeholders with ideas and actionable recommendations for helping to ensure that the public workforce system under WIOA increases employment and economic opportunity for jobseekers facing barriers to employment. Project Rise served 18- to 24-year-olds who lacked a high school diploma or the equivalent and had been out of school, out of work, and not in any type of education or training program for at least six months. After enrolling as part of a group (or cohort) of 25 to 30 young people, Project Rise participants were to engage in a 12-month sequence of activities centered on case management, classroom education focused mostly on preparation for a high school equivalency certificate, and a paid part-time internship that was conditional on adequate attendance in the educational component. After the internship, participants were expected to enter unsubsidized employment, postsecondary education, or both. The program was operated by three organizations in New York City; one in Newark, New Jersey; and one in Kansas City, Missouri. This report provides an overview of federal employment programs for vulnerable young people. It begins with a discussion of the current challenges in preparing all youth today for the workforce. The report then provides a chronology of job training and employment programs for at-risk youth that began in the 1930s and were expanded or modified from the 1960s through the 1990s. It goes on to discuss the four youth programs authorized under WIOA, and draws comparisons between these programs. Following this section is a detailed discussion of each of the programs. Despite efforts to improve the high school graduation rate in the United States, an estimated 7,200 students drop out of high school every day -- a staggering 1.3 million every year. Further, a recent report by the Center on Education and the Workforce at Georgetown University projects that by 2020, nearly 65 percent of U.S. jobs will require at least some college education, out of reach for those who are unable to earn a high school diploma. Much more comprehensive alternative education programs are needed that put dropouts and students at risk of dropping out on a path to earn high school diplomas while also providing them with the academic skills and support necessary to be successful in their postsecondary pursuits. Younger workers consistently experience higher unemployment and less job stability than older workers. Yet the dramatic deterioration in employment outcomes among younger workers during and since the Great Recession creates new urgency about developing more effective bridges into full-time employment for young people, especially those with less than a bachelor's degree. Improving the employment status of young adults and helping employers meet workforce needs are complementary goals. Designing strategies to achieve them requires insight into the supply and demand sides of the labor market: both the characteristics of young people and their typical routes into employment as well as the demand for entry-level orkers and the market forces that shape employer decisions about hiring and investing in skill development. A quantitative and qualitative inquiry focused on the metropolitan areas of Chicago, Ill. and Louisville, Ky. Living in resource-poor communities, many young men of color have less access to high-performing and adequately funded schools, opportunities to work, positive youth development experiences, and social capital. 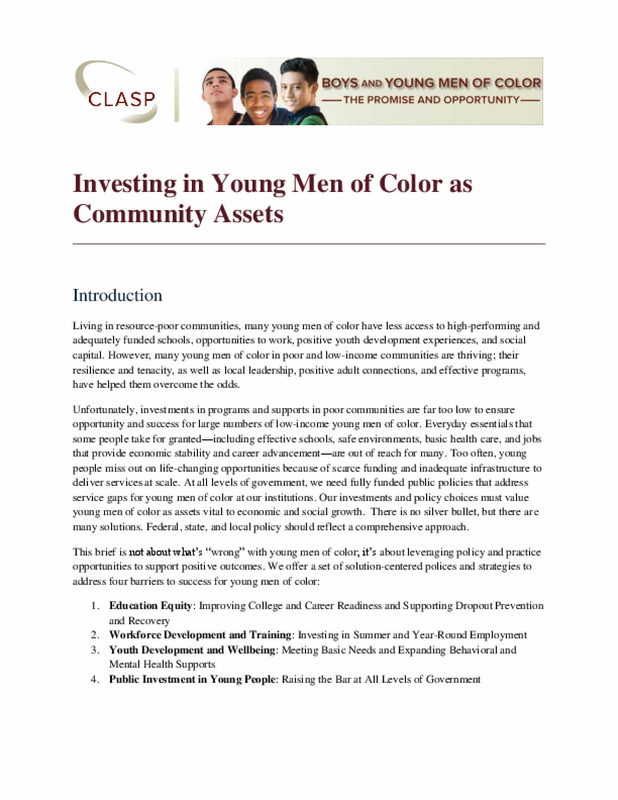 However, many young men of color in poor and low-income communities are thriving; their resilience and tenacity, as well as local leadership, positive adult connections, and effective programs, have helped them overcome the odds.